Welcome to the newly constructed Super 8 located in Houston, Texas. Opened in 2012, the property boasts the New Super 8 design. 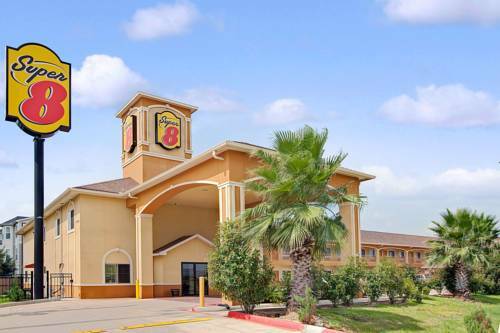 The Super 8 Houston North I-45 is the perfect location for your stay. George Bush Intercontinental Airport is 14 miles from our Houston hotel, which is located off Interstate 45. Enjoy free Wi-Fi Internet and free continental breakfast before heading out for the day to amusement parks and natural attractions. All of our guestrooms have a Microwave and Refrigerator, 40 inch television with Satellite service including HBO, and Complimentary Wireless Internet. Upgraded rooms include Kitchenettes or jacuzzi. We hope you enjoy your stay.